As a high school science teacher, I’m seeing a real turning point in education with the ever increasing numbers of iPads in our schools. In our moderately-sized district alone, we are well past 150 iPads in our inventory. Teachers and students are seeing the benefits of using iPads in the classroom, just as Apple’s ads imply. One of my biggest concerns with the iPads used by my students is keeping them safe from damage. ZooGue has come out with a tablet case that may be an answer for anyone using an iPad 2 in an academic setting. 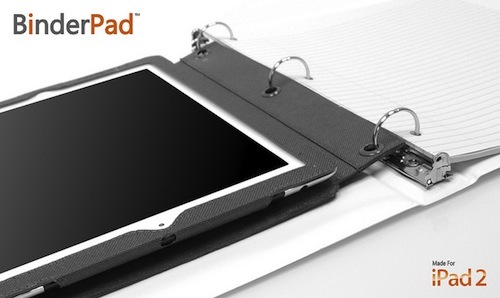 The BinderPad is a soft, yet durable polyester case custom-fitted for the iPad 2. 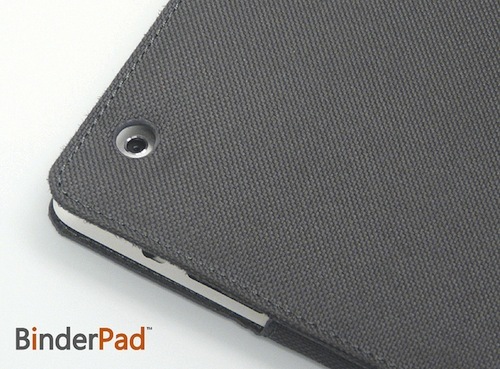 What sets it apart from other tablet cases is that there are grommets that fit any standard three-ring binder along the case’s left-hand edge. Measuring just under the standard notebook paper size of eight and a half by eleven inches, the BinderPad fits nicely inside of just about any three-ring notebook. Your iPad 2 fits inside the BinderPad snugly and stays in place with a hook and loop tab that folds into the back of the case. 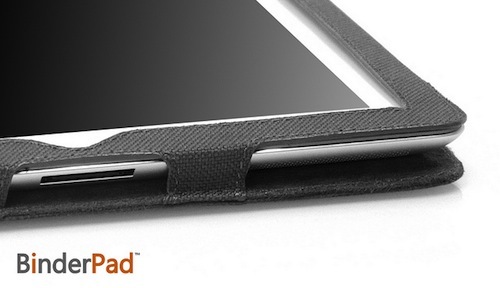 Your iPad isn’t going to fall out of this case with this system. All ports, controls, mics, speakers, and cameras have adequately-sized openings that provide quick access when necessary. I have given the BinderPad a try with my ninth-grade Earth Science students. Never has there been a more honest review of a product than when kids get their hands on something. In a nutshell, they love it. They like the BinderPad’s convenience and with its slim design it fits well in any three-ring binder. My students like how when using the BinderPad in a three-ring binder, they can carry an iPad around without a lot of other students noticing it. iPads are expensive and are prime targets for nefarious folks. 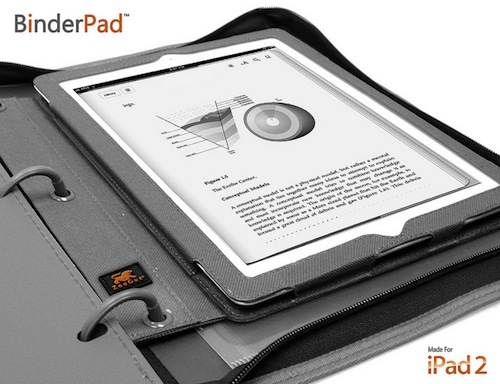 The BinderPad makes your iPad tougher for thieves to spot when carrying it to class. The review unit that ZooGue sent me has seen a lot of use in my classroom and provides our district’s expensive investment in iPads some badly-needed protection from wear and tear. My district’s librarian foresees us switching completely to eBooks within three to five years and with products like ZooGue’s BinderPad, we can be assured that our electronic devices will be well cared for.